First I want to thank Heavenly Father for using me for His glory. I want to thank my co- bloggers, readers, followers- everyone who has been reading my blog, who have, liked, commented every piece of my blog and those who have become like family to me. I am honestly glad and grateful for this award ‘’nutsfortreasure’’ have given me. This is my night! Such an amazing night for me. 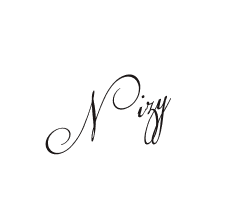 To follow the rules of this reward, I am going to share seven secret things about Nizy. 1. I am a funny silly Nizy. I am a very open laid back woman, easy going….I don’t get upset easily…..pretty calm and level headed. I get on well with people I like so long as they like me, if they don’t like me then no problem. 2. I am not averse to having or being part of enlivened debate on any subject you want to name … all races, creeds and color of skin have my respect – after all, we share the planet with everyone else, don’t we? 3. I love the mountains, the beach, the river and the solitude of sometimes spending quiet time alone. 5. I am a basketball player, not that good but I can play. 7. I love listening to love songs, relaxing music and Christian music– I love to meditate. 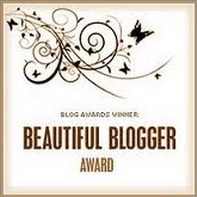 Below are the Nominees for The Beautiful Blogger Award. Now, follow this Simple rules– 7 things about you say thanks to me though you really do not have to and then pass it out to as many deserving followers you have that are Beautiful Bloggers like yourselves. There’s a lot more to list but running out of space. Anyhow, All of us are a good writers and a good master of our own lives. Enjoy your prize! You guyz deserve to have it. ~I want to wrap up by once again thanking everyone for giving me this beautiful night, this wonderful award. Your caring guidance, your warm camaraderie, your business! Thank you for giving me a glorious memory of a very proud and happy time in my life, a memory I am sure to reflect upon for years to come. I am truly honored to receive your award of excellence. God Bless Us All.